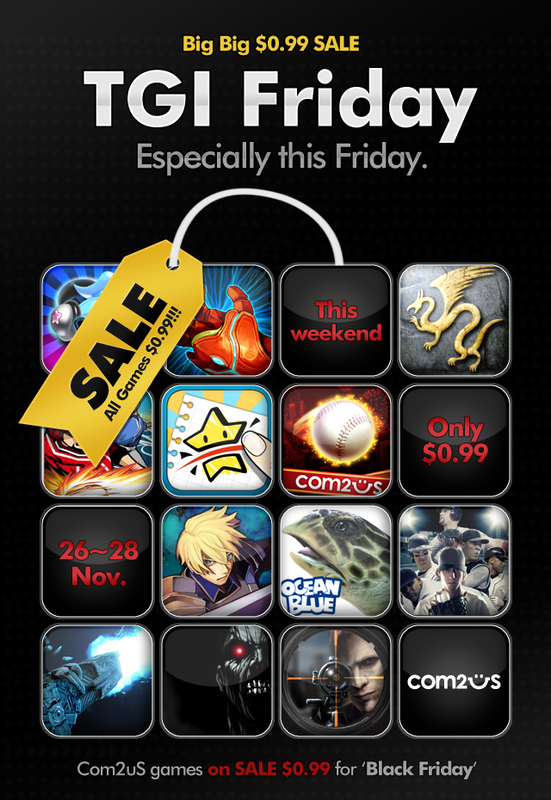 A lot of app makers doing half priced games on this lovely Black Friday! We saw Swiftkey go on sale earlier this morning and now Com2Us and their lineup of uber-addicting games for Android are also on-sale. All of their games will be $.99 starting today through November 28th (Sunday). Happy gaming!